A simple system should never be costly to design and produce. LeanTek service trolleys, available from Trilogiq Australia can be assembled in a very short time by their users. 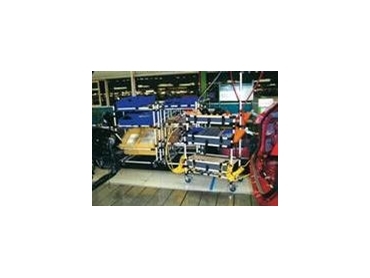 Service trolleys lie at the very heart of the production process, so it is vital that they are easily adaptable. The light weight of the LeanTek service trolley system is a significant advantage when it comes to service trolley applications, because operators pull them, push them and must be able to get them as close as possible to the value creation site. LeanTek, offers a wide range of useful accessories to create indexed service trolleys: tool carriers, panel fitting adapters, hooks, etc.